Thanks Lysis. I've worked the Hurst cycles for a while now and I am getting more confident with what it tells me. The $SPX has the been trickiest market I have studied in the last year though. 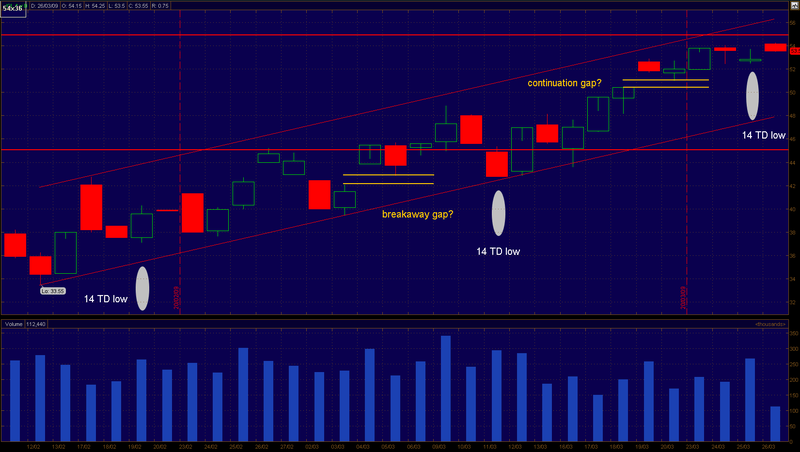 Crude is banging at the top of its price channel as of yesterday so one has to exepct a pull back now. The USO target was essentially reached (~31) as forecasted for the current 28 day cycle. 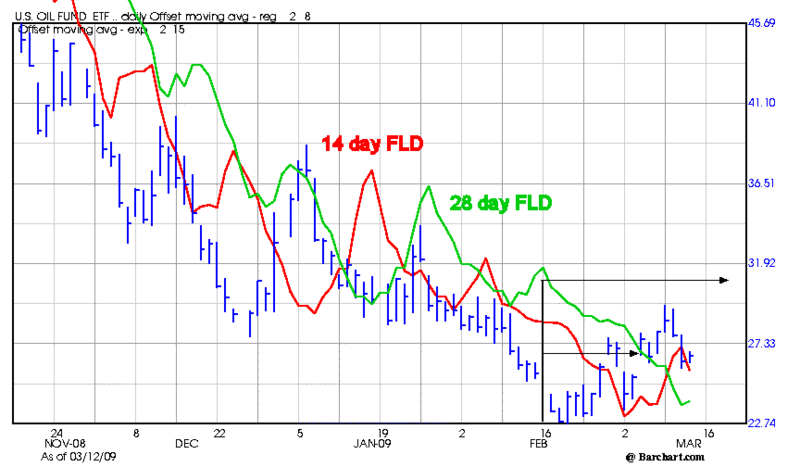 Note that this was the first time the 28 day FLD target was met as previous signals since last summer repeatedly failed. I'll be looking to buy a trading position again at the next 14 day cycle low. P.S. swanstkdh, I don't follow the NATGAS market. Months ago I decided that it has been overwhelmed by the fundamental shift in shale gas production. Edited by SilentOne, 20 March 2009 - 08:28 AM. You are awesome with the cycle work. I am looking at going back to a trading position as well. 14 day cycle from yesterday eh??? So using 14 trading days cycle, you expect the next 14 day low to be around March 31? Nominally the next 14 day low should come in March 30. I expect it a bit early, so my wager is it is a buy no later than Friday March 28th. I'm thinking of looking for first entry though after the oil inventories report mid-week. 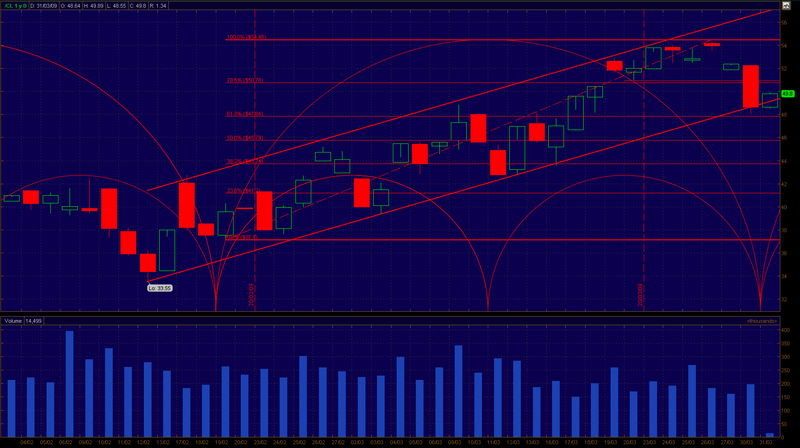 This should be a 5/5.5 week cycle low. What do you think? Edited by SilentOne, 21 March 2009 - 09:29 AM. Edited by SilentOne, 26 March 2009 - 11:40 AM. Edited by SilentOne, 27 March 2009 - 09:25 AM.